Today the 11th grade had a training session in preparation for their Service Nepal trip. The morning was split into two sessions. 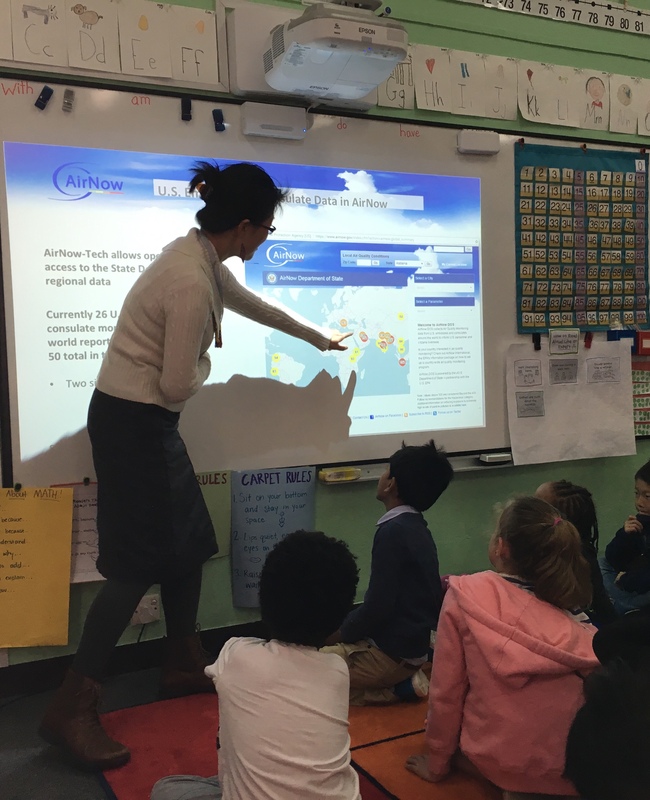 One gave the students hands-on experience connecting a small solar electric system with help from the Thrive Project. The second session gave everyone an opportunity to learn and practice important kayak safety procedures in the pool in preparation for two days of kayaking with the crew from Borderlands. 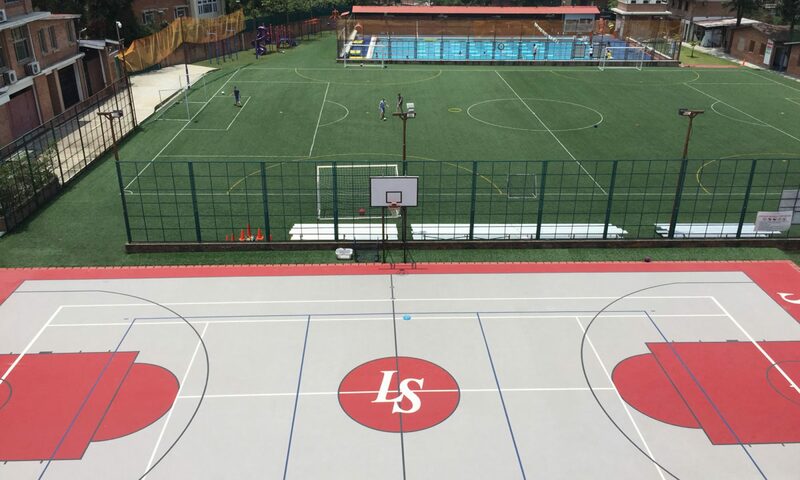 Lincoln School is accredited by two internationally recognized accrediting agencies: the Middle States Association of Colleges and Schools/Commissions on Elementary and Secondary Schools (MSA-CESS), and the Council of International Schools (CIS). Last week representatives from these two organizations came as part of the regular cycle of visits in our continuous process of school improvement and accreditation. 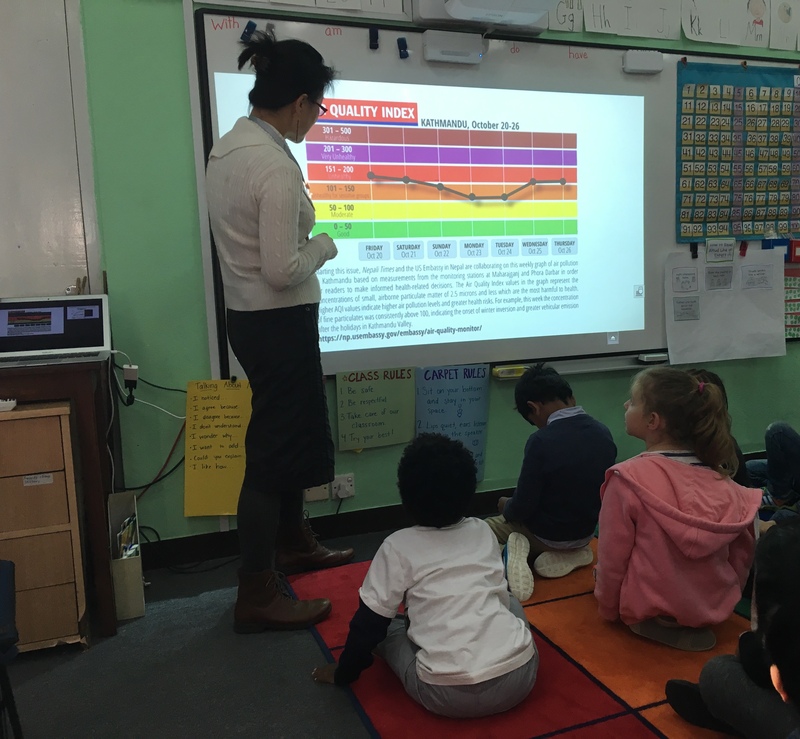 The visit follows the work of the Lincoln School Accreditation Steering Committee who submitted a report and evidence to demonstrate alignment with the standards for accreditation. 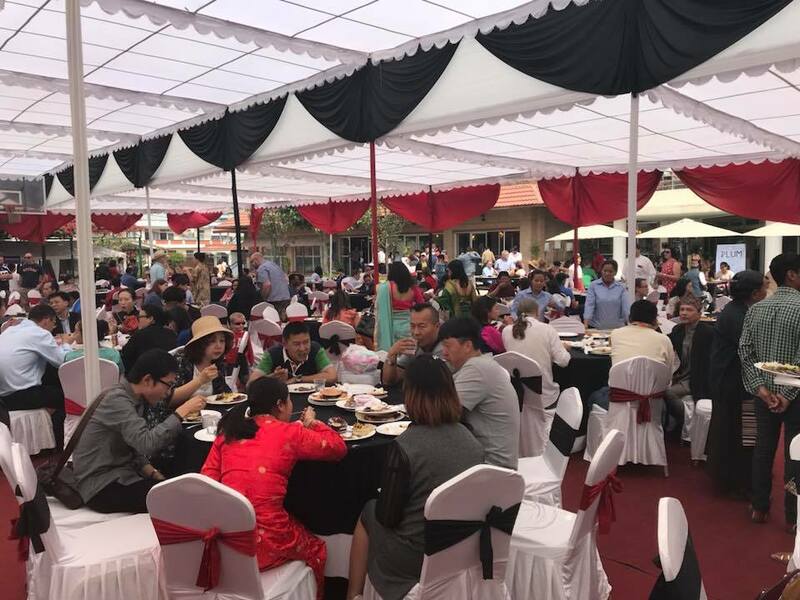 During the visit, the representatives met with different stakeholder groups, including representatives of students, parents, administrators, different program leaders, and the board. The representatives were able to share their positive impressions about many aspects of our programs and confirmed our identified areas of continued growth. The formal feedback from this visit will come in about a month’s time and will include commendations and recommendations which will guide the Self-Study process. The accreditation process functions on a 10-year cycle. Re-accreditation requires a major Self-Study, which we will soon undertake, that includes comprehensive reviews of our mission and philosophy, curriculum, program, governance, staffing, facilities, student well-being and safety, and finance. The Self-Study is followed by a week-long, on-site visit by a team of international educators. The Self-Study and Team Visit process requires a period of 14-16 months, or more, for completion. For more information about our accrediting organizations, MSA and CIS, please visit the Lincoln School website. 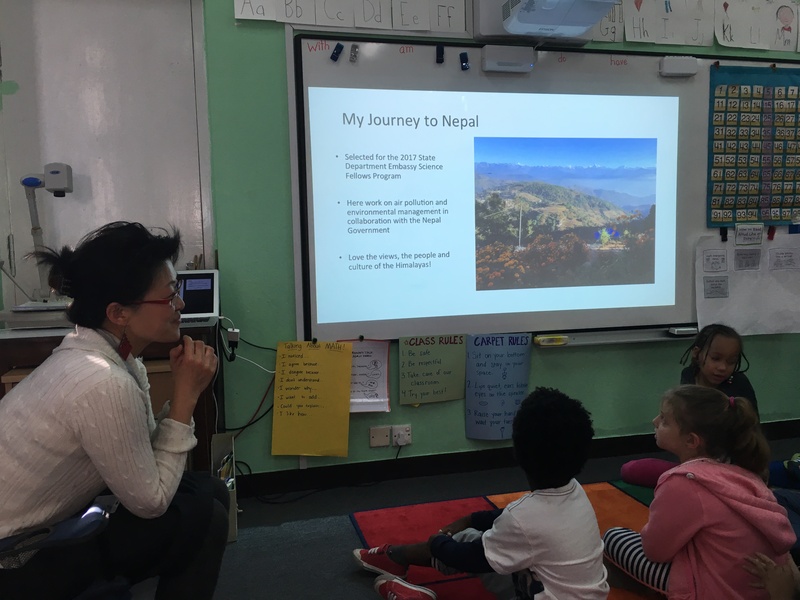 This year, Grade 1 students decided to focus on air pollution in Kathmandu for their service learning project. Students have been asking questions and doing research to find out more about this topic. 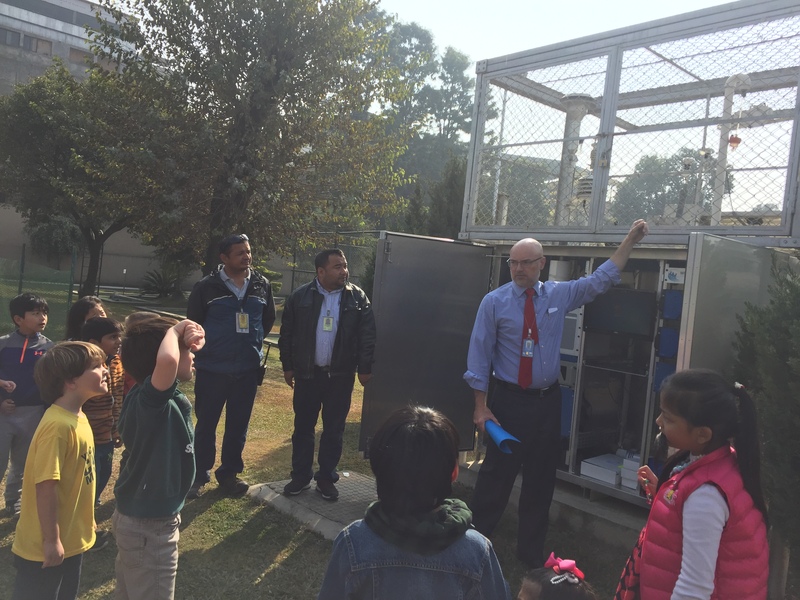 On Friday, the class took a field trip to Phora Durbar to learn about the air quality monitoring system on site. 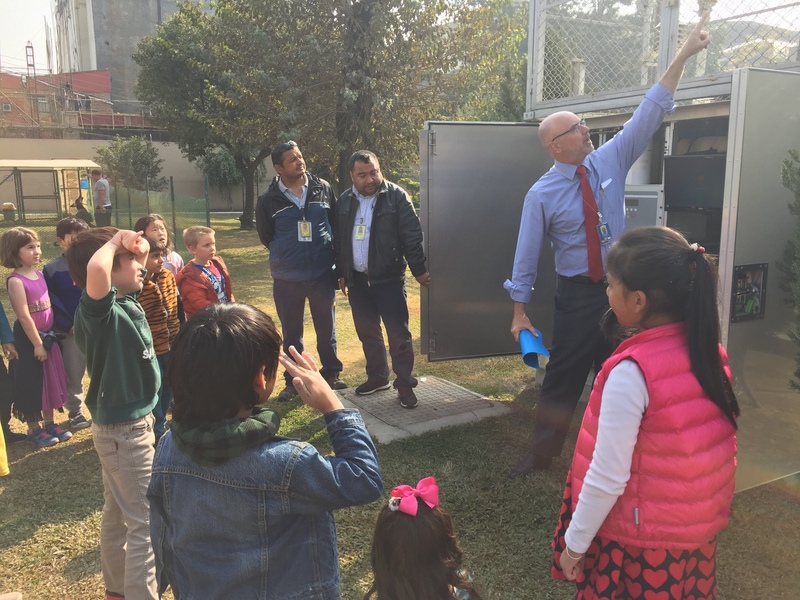 Board member Mr. Todd Tiffany spoke with the students about the monitoring system and why it is important for the US Embassy and local organizations to collect data on air quality. 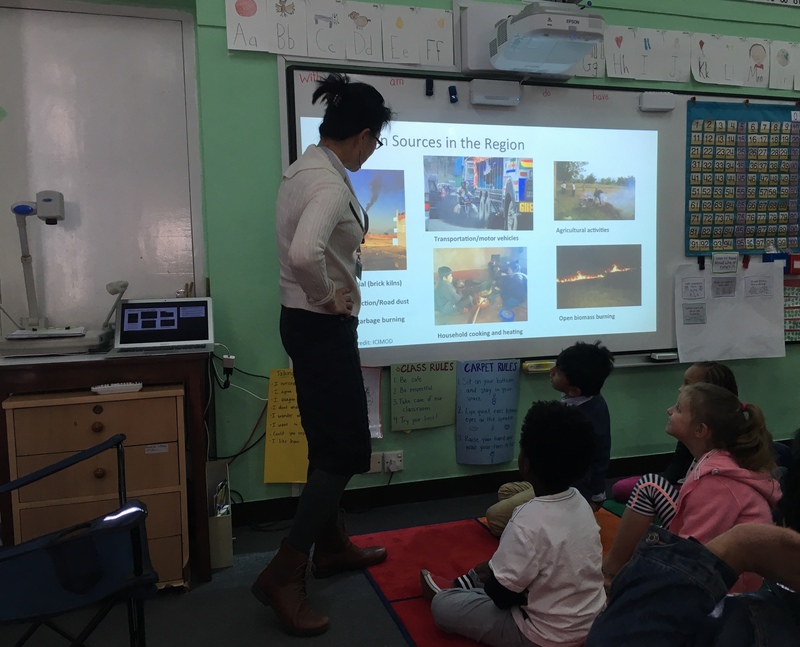 The students asked lots of questions to find out more about the monitoring system, air pollution’s harmful effects, and what could be done to help improve air quality in Kathmandu. 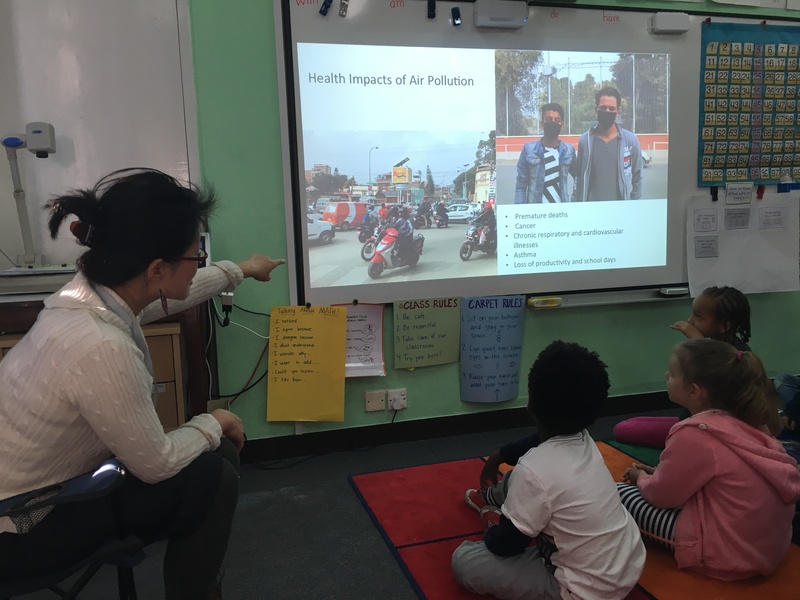 For the next step in their service learning project, the Grade 1 students will begin to think about ways they can take action to help solve the problem of air pollution in our community. The Lincoln Snow Leopards learned about a different type of animal today, WORMS! Mr. Shreeram Ghimire, a local vermiculture expert, visited Lincoln School today to share his knowledge of worms with the elementary school. Mr. Shreeram gave a very informative presentation on worms, but red wriggler (Eisenia fetida) worms in particular. He stressed their importance in the composting of our everyday food waste. At the end of his presentation, all the classes were invited to make their very own worm habitats out of newspaper and food waste. These mini-habitats will mirror the investigation the Grade Five students are doing on worms interacting with organic matter. 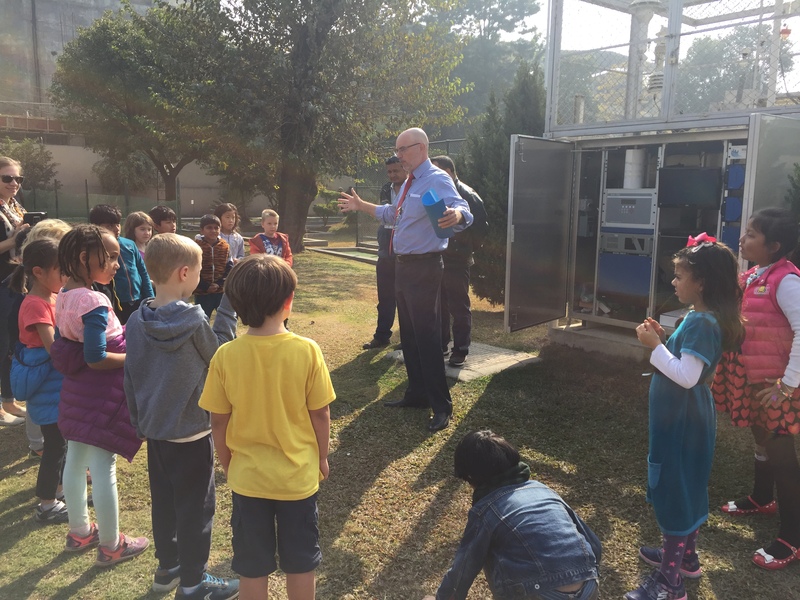 The G5 students then went to the garden with Mr. Shreeram and set up a large-scale compost bin to help Lincoln School compost food leftovers. The students set up the bin with weed clippings, newspaper, and other organic matter from the garden. It wasn’t until Mr. Shreeram showed them a giant handful of wriggling worms that the students began to squirm themselves. Afterwards, our local expert supervised the construction of worm habitats for observation in the classroom. 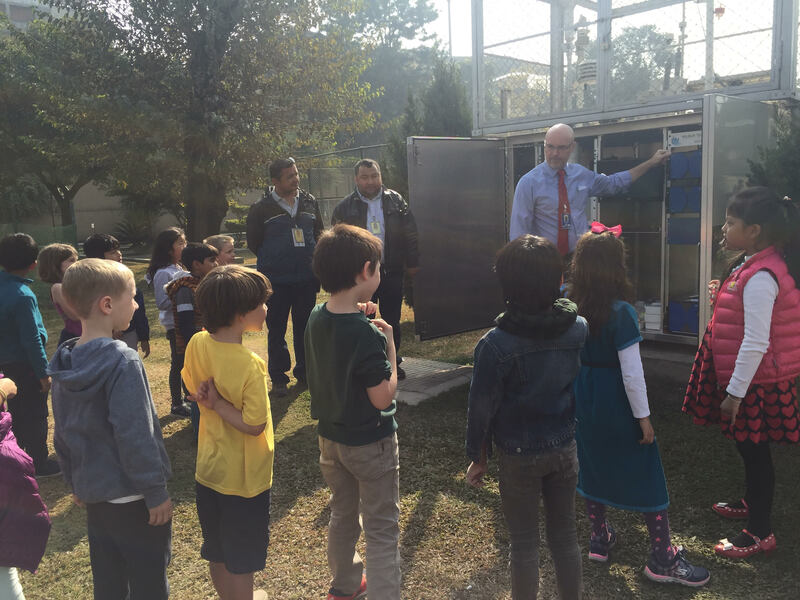 Thanks to Mr. Shreeram for visiting and sharing his passion for vermiculture with us! Over the last two weeks, twenty plus elementary students have volunteered their time and demonstrated their passion for helping animals. They developed slogans and created artwork to generate awareness about the plight of animals in Asia. Their art strives to support the conservation movement and protection of a variety of species. The posters were recently submitted as part of the upcoming Animals for Asia conference, an annual global event being held in Kathmandu this December.